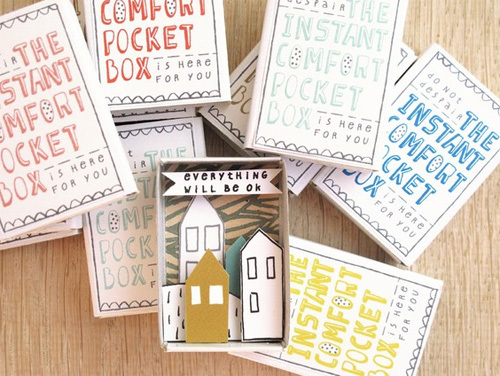 How adorable are these Instant Comfort Pocket Boxes by Kim Welling? They are little handmade worlds inside super lovely boxes, and I strongly believe that the promise to make you instantly feel better, it’s real! I’m visiting her Etsy shop and after writing this post, I’m going to buy one for myself. Can’t resist! How to get out without even a little purchase? 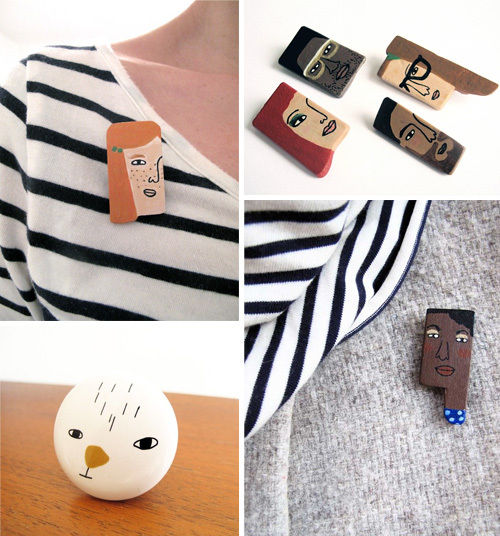 Find other Pocket Boxes here, and in her web site you can see other beautiful works like hand painted portrait wooden brooches, porcelain knobs to spice up your drawer, illustrations and more. I have a personal message for Kim: Please do more of your wonderful Instant Comfort Pocket boxes! They’re magic! 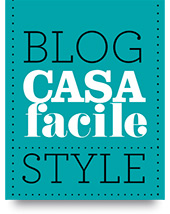 Quanto adorabili sono queste Instant Comfort Pocket Boxes (scatole tascabili di conforto istantaneo – fantastiche!) di Kim Welling? Sono piccoli mondi artigianali dentro a scatoline carinissime, e credo fermamente che la promessa di farti istantaneamente sentire meglio, sia proprio vera! Sto visitando il suo Etsy shop e dopo aver scritto questo post, ne comprerò una per me stessa. Come si fa ad uscire da lì senza neanche un piccolo acquistino? Trovi altre scatoline tascabili qui, e nel suo sito web ci sono anche altri bellissimi lavori come spille di legno dipinte a mano, pomelli in porcellana illustrati per abbellire i tuoi cassetti o armadi, illustrazioni ed altro. 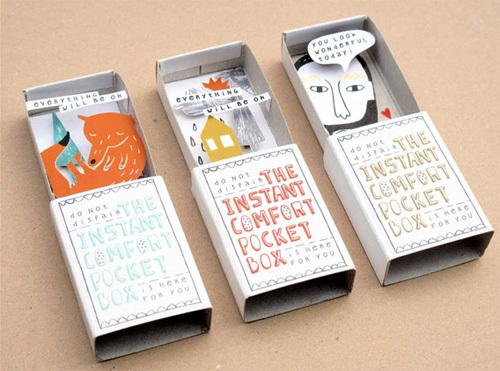 Ho un messaggio personale per Kim: Perfavore fai tante altre mervigliose Instant Comfort Pocket boxes! Sono magia! I was suggested this web site by my cousin. I am no longer certain whether or not this publish is written by way of him as nobody else understand such certain about my trouble. Those are the most magical creations I’ve seen! What a clever idea, and a wonderful gift! Love everything in her shop! Wow! Great work! I looooove the instant comfort pocket boxes! So clever! They’re really lovely Evelin! Did you already joined our IB Flckr Group? 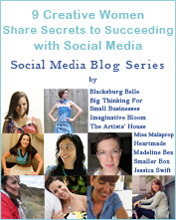 Every week I pick and feature the best works in a special blog post. P.s. carine le bomboniere a coniglietto! Grazie :) appena ho un attimo le metto anche su flickr. I also love the cup! Hi Mariolonza! I think I never “read” you before here on IB. So, welcome! Happy you like Kim’s works. And yes, the cup is adorable too. 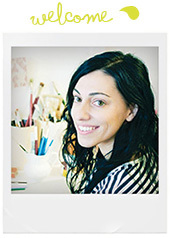 Love her illustrations. P.s. Hey Evelin, just took a look at your blog. Are they all yours the creations featured? Really interesting work! glad you’ve featured kim’s work, i found her store about a month ago and i love it. i bought some of her stickers and i have a forrest of her trees on top on my monitor. those comfort boxes are just perfect. Amy I’m imagining the forrest on your monitor! ahahaha fantastic! Thank you so much Irene! I feel very flattered by your the lovely feature! Just listed some new boxes and I’m also quite busy developing new things like porcelain brooches and illustrations for new porcelain china (a little scoop on the theme: The Vegetable Garden…) and more knobs. You’re welcome Kim, they’re all so adorable! I’m going to choose my fav!